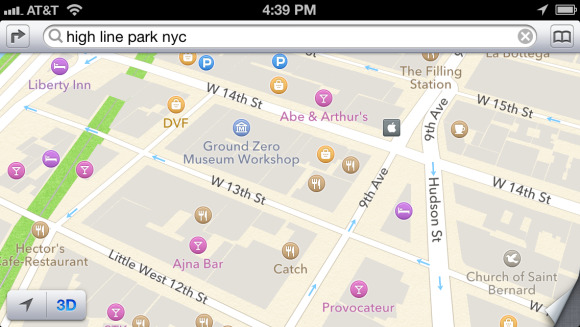 Although Apple's iPhone 5 has been well-received by critics, its iOS 6 software has drawn lots of complaints over the new Maps app, which drops Google's database and uses a patchwork of mapping sources instead. So far, this has proven unreliable for many users. The real reason is all about control over the data, and Apple isn't the only one considering this. Microsoft recently cut a deal to bring Nokia's mapping data to all Windows Phone 8 devices, and in 2010, Google strong-armed Motorola into using Google location data instead of partnering with a competitor, Skyhook. Apple, like other operating system developers, sees the value in knowing where users are going. “Maps are strategic [intellectual property] because they capture consumers' intent of where they want to go, so there's the opportunity to intervene and shape consumers' path,” Sarah Rotman Epps, an analyst for Forrester Research, said in an e-mail. Epps explained that when an operating system knows where the user is located, it can show or not show certain content, suggest places to go, and serve relevant ads or coupons. “Apple doesn't want Google to have that data on its users, and doesn't want to give Google the opportunity to serve location-based guidance,” Epps said. Apple said that it does not track users' locations, meaning that the company doesn't collect specific device information associated with a user. However, Apple already uses location information to offer services at the OS level. For instance, Siri can give reminders when the user is just getting home or leaving work, and the new Passbook app can bring up boarding pass information when the user gets to the airport. “Apple can't catch up overnight, and it seems like Apple was premature in pulling the plug on Google Maps—it has produced a consumer backlash, at least among early adopters,” Epps said. This story, "Why maps matter to Apple, Google and others" was originally published by TechHive.